There’s something so soothing yet exciting about working in your planner during the summer months. Is it the mix of cooler colors like blue and green with splashes of pinks and reds? Or maybe it’s the overall themes, like sandcastles and sunglasses, that whisk away in your mind to the beach with a soft summer breeze? If you’re looking to have beachin’ fun with your planner (for summer or a lovely holiday vacation), these Free Summer Printable Planner Stickers are just the ticket to help you plan (or at least daydream) of sunny beach days. When I think about summer, I envision lots of lazy days by the pool or at the shore, enjoying the heat and the opportunity to cool off in the water. BUT, our family does enjoy vacations either at a mountain lake cottage or the Jersey shore (And, no, I don’t get up to any of those shenanigans!). Those times feel too far apart but I can enjoy thinking about and planning for them with planner accessories like these Free Summer Printable Planner Stickers. These planner stickers are absolutely fabulous for having beachin’ fun in your planners! Isn’t that cute? Jenn came up with it as she was designing this set of stickers using elements from Font Bundles. There are 8 varieties x 4 of summer printable planner stickers. 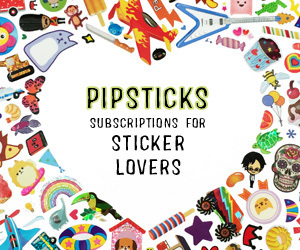 A total of 32 stickers to make your planner shine! Black sunglasses with beach scene and the text, “Beach please”. Blue waves with the text, “Life’s a Beach. Enjoy the Waves”. Yellow sun with black sunglasses and the text, “I Was Born for Sunny Days”. Pink sunglasses with beach scene and the text, “Life’s a Beach”. Light blue bikini with the text, “Good Times and Tan Lines”. Jenn used different fonts to add a special touch to these summer printable planner stickers. These fonts (from our partner, Font Bundles) include Sunshine Font Duo, PN Positively, and Humorism. And you can get ALL of these (fonts, beach designs, and SO much more) in The Love to Craft Bundle, Vol. 1. Get Your Free Summer Printable Planner Stickers!